Not attending ITB? Explore our PMS. 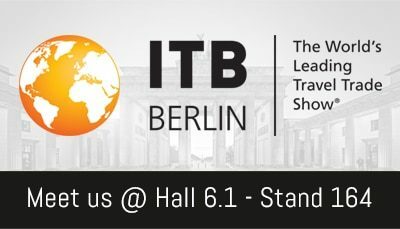 Hotelogix, having empowered independent and group hotels over the last decade, is excited to exhibit at ITB Berlin 2019, an annual five-day trade show for the travel and hotel industry with over 160,000 attendees from 180 countries. Drop by our stand, meet the Hotelogix team and understand how you can leverage technology to scale up your business. "Management of multi-functional properties is fantastic with single sign-on. Another feature is occupancy based dynamic pricing that enables us to do much better revenue management." Gartner names Hotelogix as a ‘FrontRunner’ in the hotel management software category. Get in touch with our Product Specialist for more information. Explore how Hotelogix can help you improve hotel operations and increase revenue. Automate several housekeeping tasks to reduce time and effort spent on repetitive tasks and minimize scope for errors. See how Hotelogix can help you improve hotel operations and increase revenue.